There are certain parts of owning a business that can be quite frustrating. With my personality type, I can come across as blunt, even rude. It’s never my intention, but I’d like to say I tell it like it is. This is a very tell-it-like-it-is blog, and I want my audience to know that my frankness comes from a helpful, educational place. One of the most frustrating aspects of business ownership is when you assign a project to an employee, contractor, or team member and the ball gets dropped — meaning, the project wasn’t completed on time or completed at all. There have been more than a handful of times that the ball has been dropped for one reason or another under my leadership. As a business owner, I interpret this to mean the employee doesn’t respect the project enough to complete it and/or they don’t respect me as their boss. When I assign a task to someone, I expect it to be completed by the deadline. I am very understanding when communication is open, and I empathize with life throwing some kinks in our plans. But when communication hasn’t happened about why a project isn’t done at the expected time, it is very challenging and disheartening. 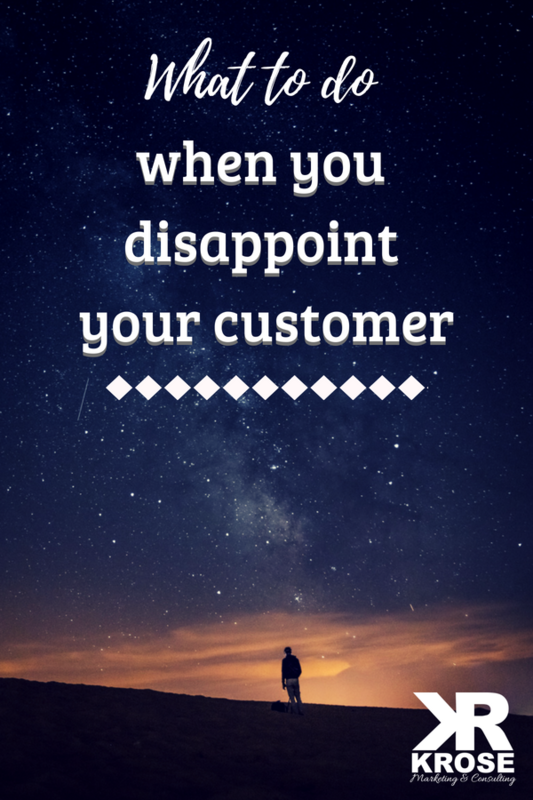 We have clients who need turn around quickly, and I hate when we disappoint a beloved client who is supporting my business. As business owners, we are juggling 40 or 50 balls at any given time and it’s inevitable that balls are going to get dropped. We are not going to be perfect all the time. What is more important than unattainable perfection is completion. “Finished versus perfect” is a concept I’ve implemented with the KRose team. I, of course, want everyone’s best work. But sometimes it’s OK to just get the job done, even if it’s not your top quality work, rather than not finish the project at all. Let’s say you assigned a web design task to an employee and they forgot to start it or didn’t get it done for some reason. 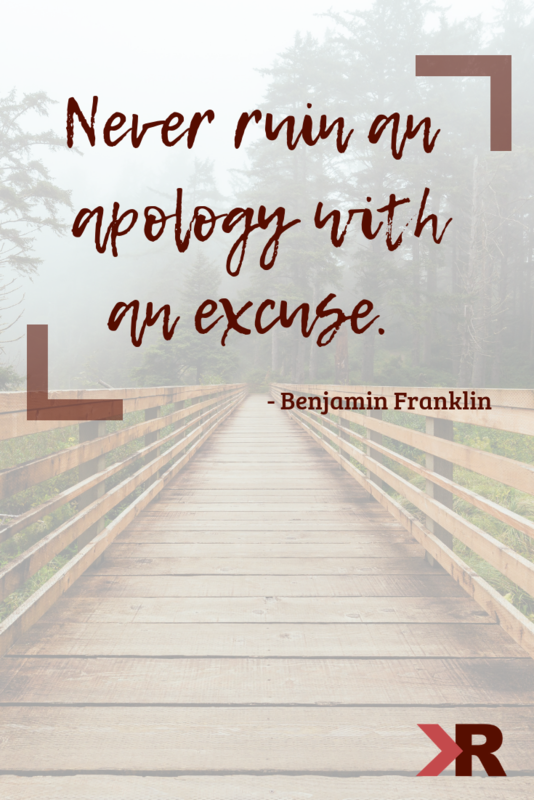 What you need to do right away is accept responsibility and express your sincerest apologies. You need to say it from an “I” perspective. It’s important to take responsibility, while acknowledging what has happened. Even if you are in a situation where it would be easy to sweep the issue under the rug, don’t. Be honest and open with your clients and commit to not let it happen again. There are several reasons why a project might get dropped. The first is a lack of communication or ineffective communication. The second is your employee isn’t hungry to succeed or advance their career. The third is unknown or misunderstood expectations. Two of these three come down to you as a business owner. 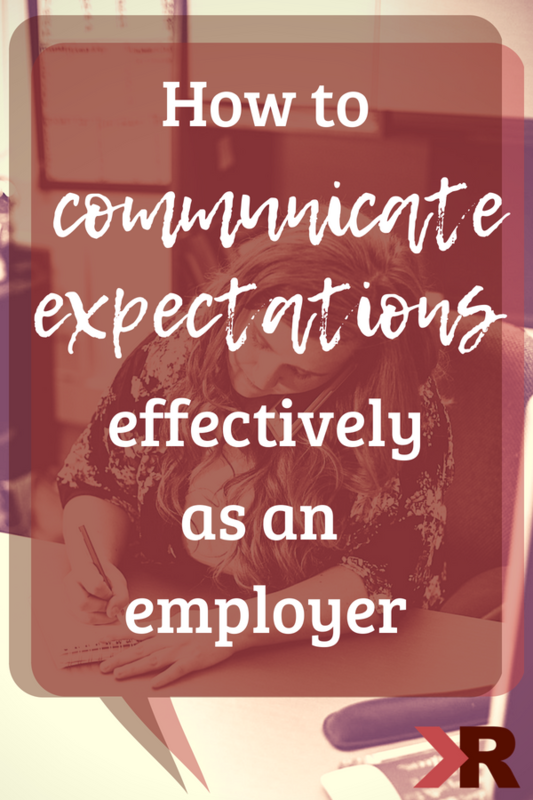 It is your responsibility to communicate and set clear expectations. As an employee, it is your responsibility to seek clarification when you are uncertain. We prioritize tasks with the high/low priority, urgent/not urgent punnett square. A lot of times as a business owner I find myself hanging out in that High Priority/Urgent square. As an employee or team member, it’s your job to ask your employer what he or she recommends for putting projects in that most important square. Expectations must be clear, but if follow up is needed, it needs to be asked for. 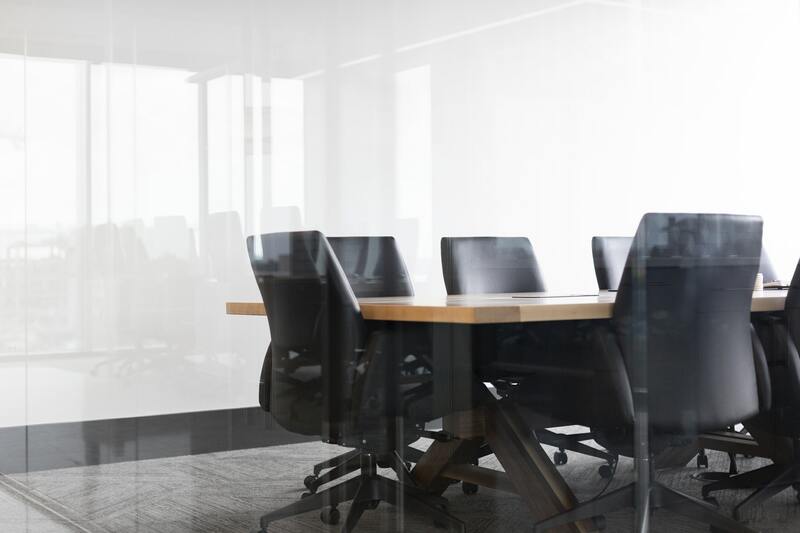 Unfinished or uncommunicated tasks might fall by the wayside if the employee who was assigned the task doesn’t speak up about their questions or concerns. You might not understand why a task is urgent, but you have to trust that if someone says it is urgent, they have a reason. When I assign a task that needs completed by Friday, I expect my employee/contractor/team member will do everything in their power to get it done by Friday. If they need something from me, I do the same. Miscommunication and unclear expectations are a headache, but they are fixable. As a business owner you can work harder to be clear and keep the lines of communication open. As an employee, you can ask more questions and request more details when needed. But when a team member isn’t hungry to succeed, this isn’t a teachable skill, it’s an innate character trait. You can’t force another person to be motivated and dedicated. When you’ve exhausted all efforts of clear communication and balls are still consistently being dropped, it’s likely time to find a new employee who has a stronger drive to succeed. As an employee, if you’re unable to motivate yourself and don’t want to take blame when the project flops, this probably isn’t the right role for you. As an employer, what are you supposed to do when this happens? 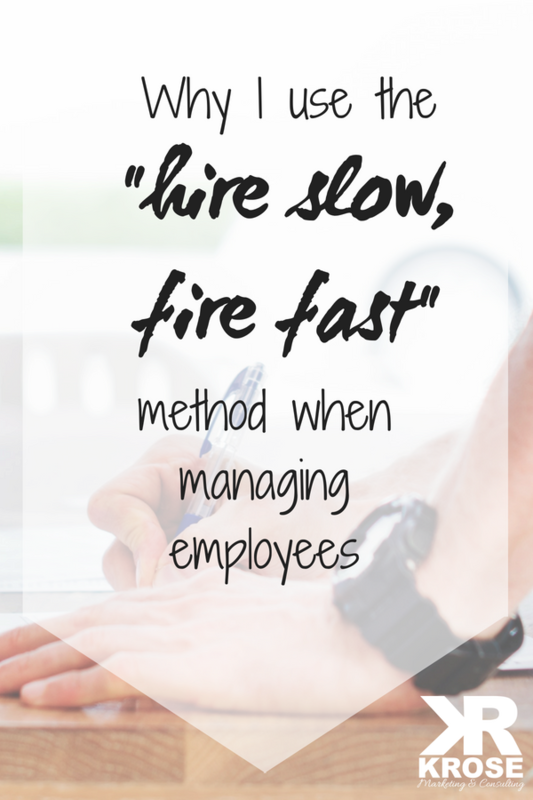 Sometimes it’s best to adopt the method of hiring slow and firing fast. I know, it sounds extreme and when you’re just starting out in business, you might think I’m crazy. But when you get to a point in your business where people are applying for positions often, you can’t waste your company’s time by holding on to a lackluster employee. How do you prevent this from ruining your progress? I know as a business owner there are opportunities to excel and opportunities to learn. When the ball gets dropped and there is miscommunication, you have a great opportunity to learn. Sometimes when the ball gets dropped, I need to realize I was at fault. In that case I take the blame, apologize, and move forward. You can’t let it eat you up. Remember, nobody is perfect, which is great because perfect is boring. There are times, however where a ball being dropped could significantly affect your business. It’s important to understand when your company is going through growing pains the ball will get dropped and you move forward, trying harder to do your best the next time. As for those rare employees who aren’t hungry for success, unfortunately, this isn’t something you can teach. You cannot teach hunger. If you have a team member who isn’t hungry and it continuously affects your progress, you have to learn how to know when to let this person go. I know, firing isn’t fun. I would absolutely prefer to hire a team that sticks around for years and years, consistently reaching their goals and moving projects forward. But that isn’t always realistic. Someone might apply for a job at your company with the best of intentions, but they don’t ever light the fire to succeed and grow the business. When someone drops the ball and doesn’t complete projects or doesn’t represent your company well, this is where hiring slow and firing fast comes into play. Use careful, tedious discretion throughout the hiring process. Look further than a resume and cover letter. Actually contact references and ask the right questions to find out if the applicant is highly motivated and an effective communicator. Often these occurrences are hard to predict. But very thorough interviewing processes can help weed out some of the bad eggs. You can have a productive team with a bad egg who throws off your goals. When the person holding you back moves on, most likely, your team will become more productive, absorbing the work of that team member until they are replaced. I know when balls get dropped in our company, it is most often because of communication and it is a constant battle. My team lives all across the country and we can’t all meet in the office on a regular basis since we are in several different states. We do weekly Zoom meetings to discuss our current projects progress, next steps, and questions team members have. As a business owner, I simply receive too many emails to stay on top of them all — from employees, potential and current clients, and more. I have to be very conscious about the time I spend reading and responding to emails and clarifying project requirements. 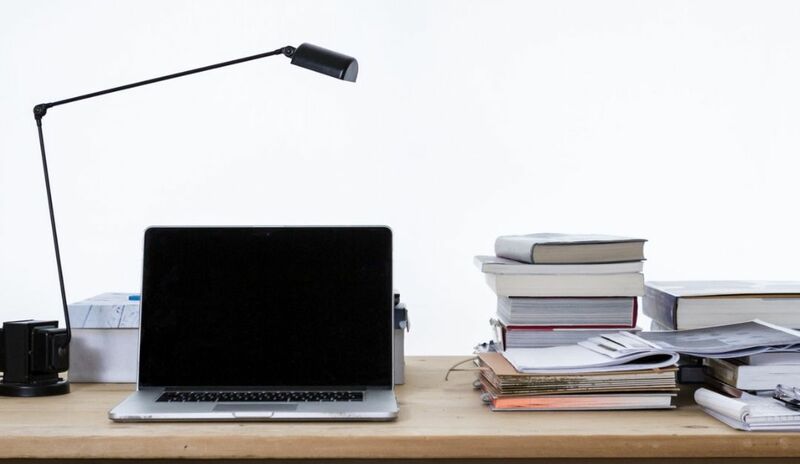 We use Asana, and we love how it keeps our projects in the air. It allows us to assign deadlines to teammates, check in on each other’s progress, and hold one another accountable. I expect my team members to be held accountable and I hold them to this standard. 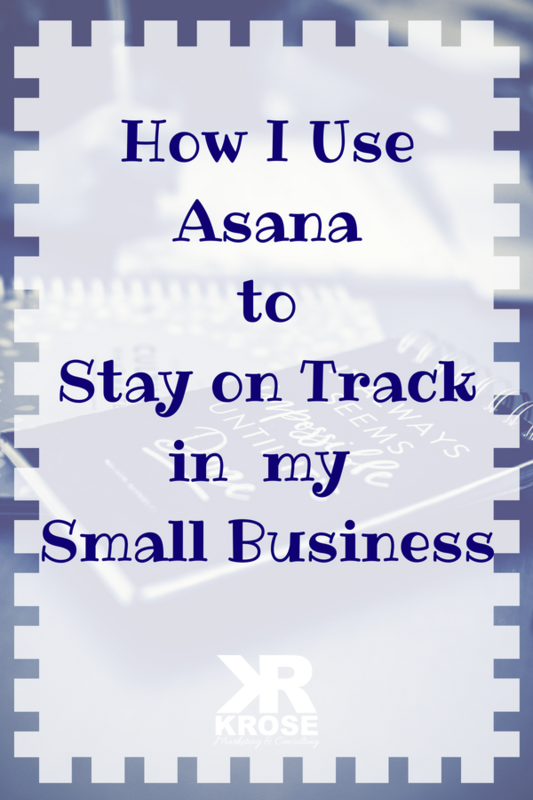 We have a video on YouTube to help you navigate Asana if you think it will be beneficial for your team. I highly recommend it for teams of any size. Download our Success Guide to set goals, get organized, and level up your business. Thanks for the post – always learning!